Swier Law Firm is proud to announce our Little Free Library campaign! We are kicking it off in Harrisburg, South Dakota, by partnering with Dakota Horizons Girl Scout Troop 50515 to build six libraries and the City of Harrisburg to install them. We wish to thank all of the volunteers who helped build the six libraries, the Greater Sioux Falls Habitat for Humanity for donating the shingles, and the Harrisburg Parks and Recreation Department, especially Andrew, Jason, and Mark, for the time it took to locate the best locations and beautiful job installing the libraries! Check out Megan Raposa's article in the Argus Leader, the KSFY news story, and our blog post about the Little Free Libraries Kick-Off Event. 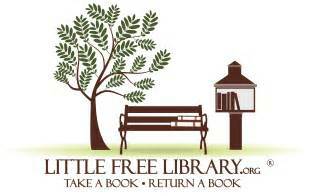 LittleFreeLibrary.org is a worldwide movement aimed at bringing books to everyone of all ages. Little Free Library inspires a love of reading, builds community, and sparks creativity by fostering neighborhood book exchanges around the world. Twenty-six percent of children who were read to three or four times in the last week by a family member recognized all letters of the alphabet. The more types of reading materials there are in the home, the higher students are in reading proficiency.